What do Three Diagnosticians think about Silver Bullets, Critical Thinking and the Future of Diagnostics. Bob Heipp, Peter Landry and Matt Fanslow, bring a big dose of their passion to the second technician round-table. This discussion generated talk on important and trending topics, that for these working techs, are important. In this episode Bob, Peter and Matt expressed their feeling on technician pay, computer skills, augmented reality, and flat rate among others. There are over 20 key ... See More talking points. 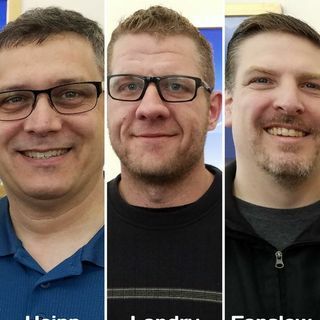 Invest in understanding how these three professional technicians and trainers look at the industry, especially the commitment to perpetual training and for creating a better and sustaining aftermarket.